Jennifer Kenny-Smith is the Director of Civilian Sales for Hitachi Vantara Federal, a wholly-owned subsidiary of Hitachi Vantara. With over 16 years of experience in strategic sales of federal enterprise accounts and programs, Jennifer is renowned for her expertise in solving customer challenges in data center infrastructure, big data analytics, cloud and cyber. In her current role, Jennifer is responsible for managing the $33 million business growth of the federal civilian accounts by leading her team of senior account executives in developing and closing net new business opportunities to expand the organization’s federal footprint within the civilian space. Prior to Hitachi Vantara Federal, Jennifer served as District Manager of Civilian Sales at ServiceNow, a cloud company. In this role overseeing the federal civilian sales district, her team of account executives exceeded district quota at 120 percent to plan and maintained a 98 percent retention rate. In her role as the Director of Cloud and SaaS at CSC, she was responsible of developing and managing a $300M pipeline covering all federal agencies. 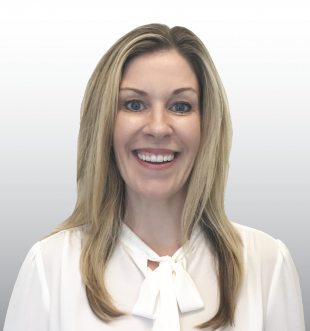 Jennifer has previously held senior roles in federal sales organizations as Director of Federal Sales at SimpliVity Corporation, Senior Account Manager at McAfee and Senior Account Manager at EMC Corporation. Jennifer earned her Master’s in Business Administration with a concentration in information technology from the University of Phoenix and attained her Bachelor’s degree in graphic design from the UMBC. She is a 200YTT certified yoga instructor and teaches for Lifetime Athletic and is a black belt in American Freestyle Karate.